DHL is the premium logistics Partner for Jeffo. With DHL we ship our products worldwide convenient to you .The postage and handling charges for your country are listed below. Please select the appropriate target country to which the shipment should be send. For delivery to certain countries or regions, or if you want a delivery with specific service providers, the shipping costs will differ from the table. We ask for your understanding! For commercial customers other conditions may apply.Please login at MyJeffo! We might not charge consumers in certain countries on orders exceeding a fixed net order for shipping. Please check the table below to see if and when you are eligible for free shipping. For business customers (B2B) different conditions may apply. Please check with our sales department or log in to view your personal conditions. 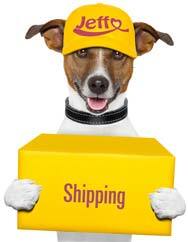 Shipments are sent from our dispatch center Monday through Friday usually within 24 hours after receiving your order. When goods are available, the shipment should arrive to your delivery address within 2-3 business days. 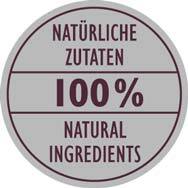 Please note, that our products are always made fresh and it can sometimes take a few days until we have sufficient merchandise ready for shipment.For shipping outside Germany but within Europe, delivery time for available goods is about 2-5 working days. Requested import taxes, commissions and taxes from third countries are dependent on the value of the goods and the weight of the shipment, from the destination country customs and will be collected from the recipient (customer) with the delivery of the parcel. We ship to Switzerland up to a maximum of 1000, - EURO in merchandise. For orders above this value, please contact our sales department.